Hi, I'm not sure how to start this request for help as a I never thought I ever needed to help anyone that bad as I do now. 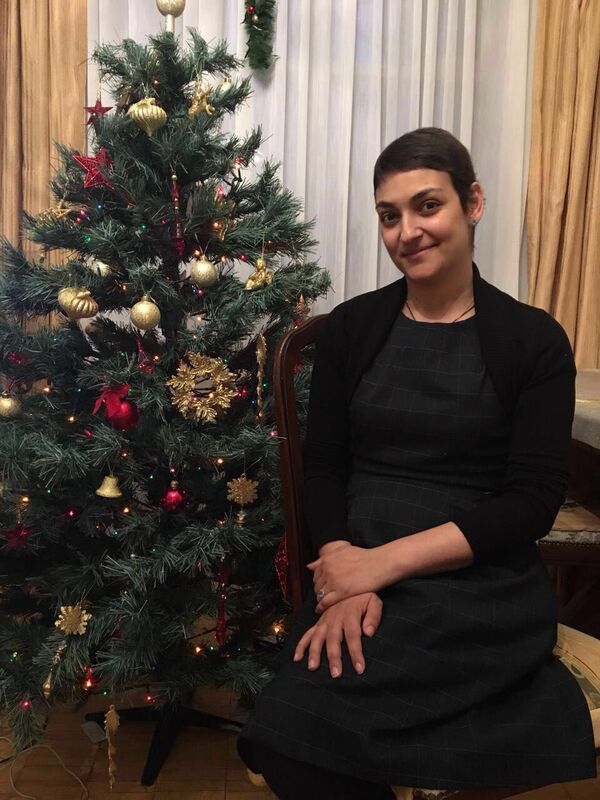 My sister-in-law, Anzhela, 28 years old and the kindest person and mother of two young kids (2 and 4) is diagnosed with a rare cancer with a costly and painful treatment plan and she needs your help! 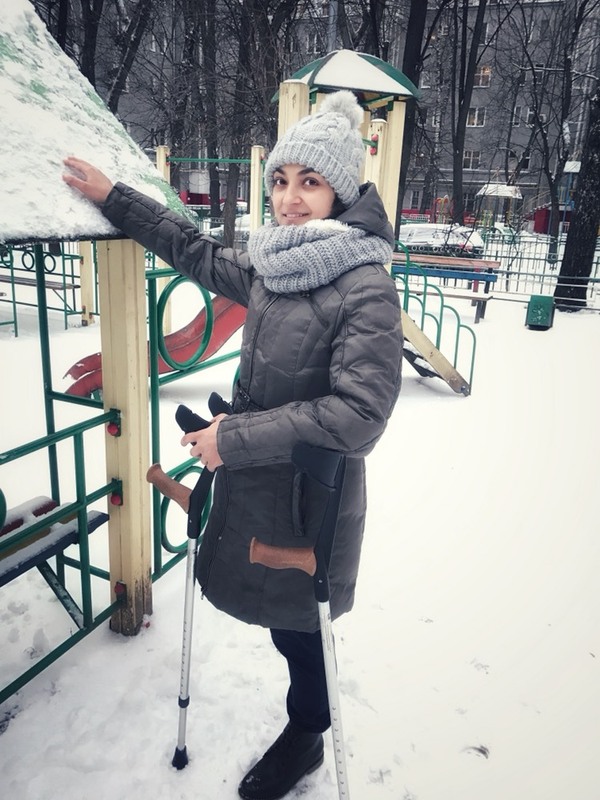 She has been struggling since July 2014 with a bad hip; the doctors in Moscow diagnosed her wrongly from the beginning and replaced her hip with a prosthesis. A maltreatment that might have doomed her, I will come back to that later. Since then she has had growth of what they believed was Hematoma (blood clumps) in her hip. It started swelling last autumn 2015 and before Christmas her leg and hip had grown so much she had difficulties walking. Her doctor still treated this as normal Hematoma and punctured (drained) a total of 2 liters of blood from her hip in December. They couldn`t find out why she kept on bleeding and in desperation clamped 3 of her veins. She trusted her doctor, but this again was catastrophic maltreatment. Two weeks ago, she went to see another doctor who quite instantly saw that something was wrong. However, before giving the diagnosis, the pathology doctor asked to provide the initial (2014) blood samples from before and after the operation in 2014. The test of those samples revealed that the patient had already been suffering from the malicious Osteosarcoma (G3) in 2014. 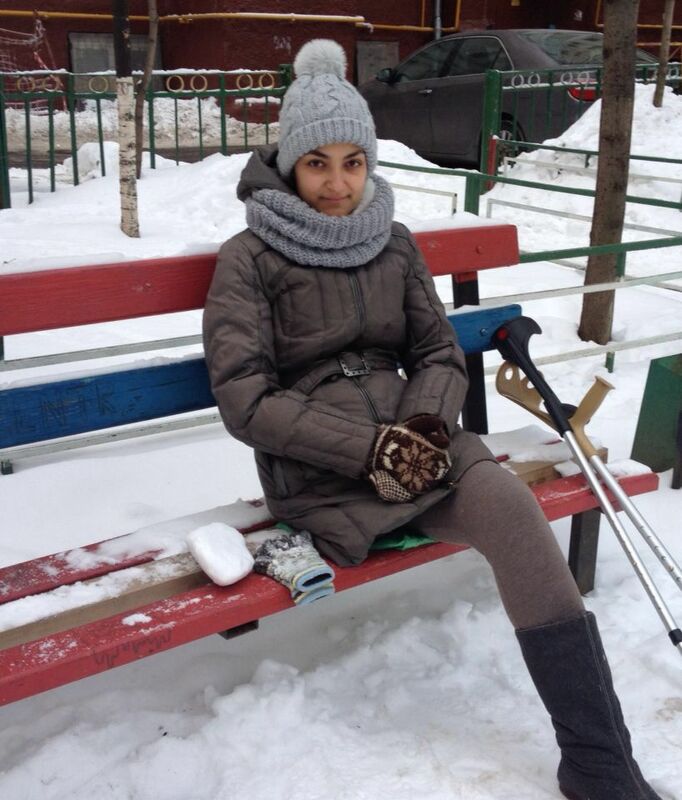 Osteosarcoma, a very rare cancer type normal doctors maybe only see once in a lifetime. Her main doctor discarded this as nonsense and said it was still hematoma or at worst a "positive" Giant Tumor. Confusion and distrust started building up. At this time, my wife and I had organized her to come to Charité in Berlin where the diagnose was confirmed. The cancer she bore in 2014 was already aggressive (G3), has now spread, and consumed her leg, causing the swelling and spreading up to the pelvis with metastases in liver, lungs, backside of the spine and stomach. 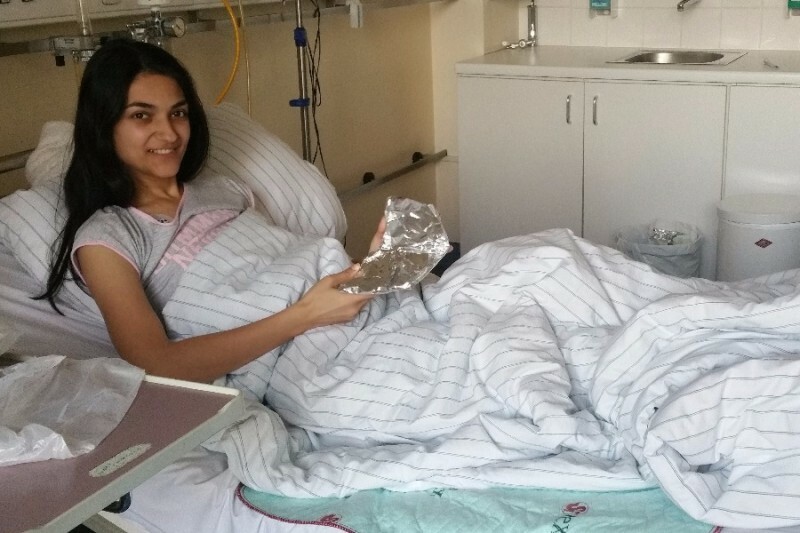 The doctors in Berlin give Anzhela hope, and, luckily, Charité is one of 3 Hospitals in Germany focusing on Sarcoma. But even with their great expertise they say the outcome will be disastrous. The Cancer has grown so far that she has to undergo two surgeries where they will remove her leg and half of her Pelvis. Together with Chemo treatments before and after. She started with Chemo Tuesday night. We had paid in 20k Euro initially to Charitè for what we at that time thought would cover surgery of the Hematoma and diagnosis. this is already used up with the first Chemo. The Osteosarcoma continued spreading when they removed some of the main cancer cells but not all when they did the hip transplant. Tapping blood and clogging the veins just helped the cancer spread further. Surgery will cost 40-60k Euro and the full Chemo treatment before and after will cost around 100k. We are yet to receive the final quote, when we do we will post it here for your reference. We are trying to scrape and collect what we can, but it will not be enough without any support. 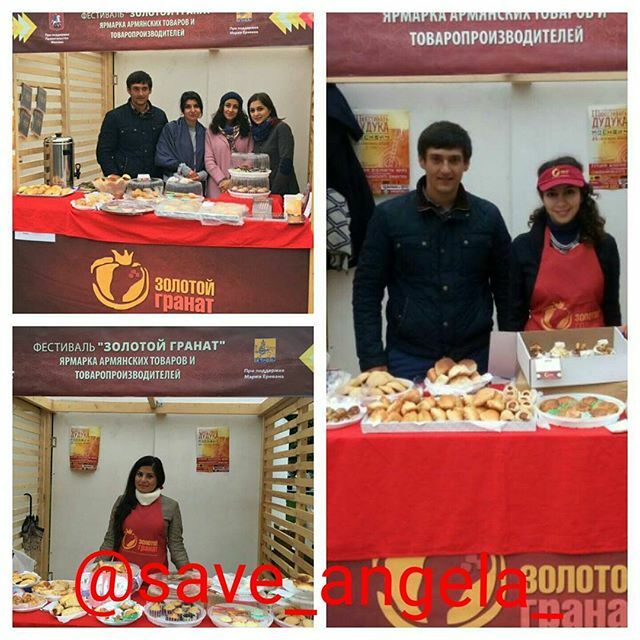 What Anzhela needs now is your help! Her two kids and her husband will be forever thankful for any support you can give to help her survive the cancer! PS: gofundme removes any linkage to other sites. pm Andreas for learning more of how people and friends are trying to help! I know that I haven't provided any posts recently and that I owe you the latest updates, I will with this tell you why I have delayed and whats going on. I just came back from Berlin a couple of days ago and I was told that everything seems to be alright for now! What a relief. After all, my treatments and surgeries (17 chemos and 3 surgeries) were finished in December 2016, but this summer I was told I had to undergo another operation due to minor metastasis. I removed 3 cm of bone and was told that all was removed with this - but it had to be verified with this last checkup. And it did - what a relief! You can imagine that every time I m going to the Klinikum for a check-up, I'm holding my breath and praying for being healthy! Looking back where I was beginning of last year and now, I am grateful to be alive! I wish you a Merry Christmas and my sincerest gratitude for your support and this opportunity to spend these days with my family and kids! I was been told to set future goals to look forward to, and my goal is to one day walk (seemingly) normal. My hope is to get a protheses next year that fits my lack-of-hip-situation and that no further metastases are found. Happy life, healthy life and joy! Dear friends, I would like to thank you all for your support during the whole year (2016)! I'm happy to say that my treatment for the moment is finished. All in all, in 2016 I spent 11 months in Charité Klinikum in Berlin, had a surgery (right leg and hip amputation), undergone 17 chemotherapies, 2 surgeries on lungs to remove metastases and lots of analysis. I will have to be back to the Charité Klinikum in a couple of months to undergo follow-up diagnostics and to hear the words that I m healthy. It was a very difficult year, both emotionally and physically. You can imagine that after the amputation my life will never be the same again. Nevertheless, I m grateful to have a chance to stay alive, live each day of it and appreciate the chance of breathing this air and being next to the people I love. Especially to see my kids growing older, they were missing me a lot, you could see that by the mood swings they had during the year and the loss of appetite. Fortunately, I' m back home now, spending all my time with my kids, enjoying their sweet smell, that I was missing so much for the whole year, their laughter and their smiles. It's a New Year, new life, new hopes, wishes. Christmas time brings wonders and miracles, I want to believe they happen when we ask for them. I'm so grateful to each of you for your support and for being there for me! It means a lot to me! I wish you all always to stay healthy, to receive only nice surprises from life, enjoy every single minute and a chance of being with the beloved! We cannot bring the time back, but we can make the best of our present. I know its a bit late but Happy New Year to you all!! Friends, I have so many things to share with you! Today I want to tell you about what's going on with my treatment. For me it was always a problem to talk about myself and my aches and pains, I normally like to avoid the topic and instead talk about the nature or the weather and the good sides of life as I have always been optimistic and I like making people around me happy ))) And in a weird way I think it has mislead some people as I have received some comments on social media from people who believe I'm actually having a good time in Berlin... So, I believe its time to start telling the truth. Though, my situation seems to be improving, I'm still on the edge and I have gotten worse. I have received a hematoma at the place of the stitches, I need to remove a metastasis in the lungs, the wound is still bleeding but the worst was the last chemotherapies. I couldn't move at all, the phantom pains are getting stronger than the usual ((((( I couldn’t even lay on my healthy leg or turn on my healthy side. For several days I was laying on my back in a constant fight against the pain and nausea. Sometimes it got so bad I wanted to jump out, climb the wall, and scream!! It would not help obviously, but that’s the reality. The Fundraising is not going well, the hospital made me aware that we now need to make the next payment, otherwise they won't treat me anymore. Last Chemotherapy was already given as credit. 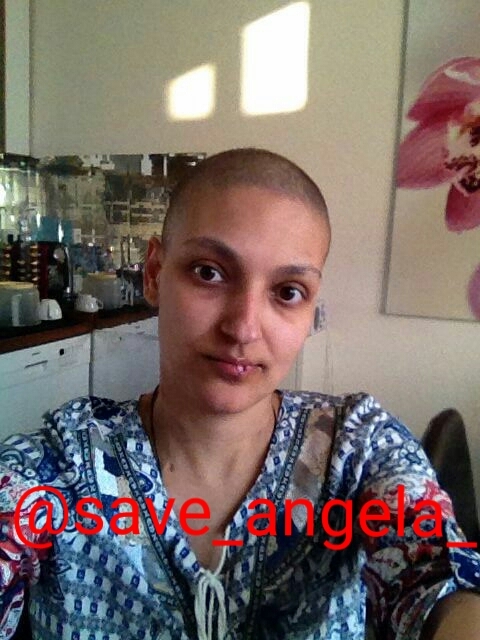 I’m begging you, please, do repost any of my posts, follow me on @save_angela_ , tell your friends about me or probably you know someone who can help me. We have already managed to raise so much, I'm so grateful for the support of our friends, family, social media and gofundme we have raised 66 854 euros for the next bill, I am left to collect 22 746 euros. I know its a long way to go, but it has also been a long journey for me already. It just breaks my heart. I want to be healthy!!! I want to be with my kids again!! Trust me; my family has already done what is possible. This invoice is not the first, the first bills we paid ourself when we saw we couldn’t sell or raise enough we sought help from friends, but it hurt to realise that many people and funds that we thought would help out turned their back on us. It was really hard for me to accept this, but I found my support in you, those who stayed around, acquaintances or total strangers who want to help and support me. You are my rock, my motivation to live!!! Get well! Wish you energy, luck and happiness!